Leaving North Carolina for a casual visit to New England presents a bit of cultural and ecological shock. Its not just the accents but the vegetation! While the southeastern US is known for some of the nations most fire-prone vegetation, New England's seems the polar opposite; dense, dark, forests heavy in Eastern Hemlock and White Pine, not the kind of places associated with frequent fire. While the majority of North Carolina may have experienced fires several times a decade (1) some authors have estimated fire return intervals in New England forests as infrequently as 230 to - 5,200 years (2)! Sort of boring stuff for a "normal" fire ecologist "down south". "It's a prairie, just like those out west," said Keith Fletcher, the Conservancy's Southern Maine Program Manager. "It has been maintained by (burning) for 5,000 years" (2). Seriously, I had to see that! As the picture to the right illustrates, I was actually able to find a "prairie" in Maine. At least it was an open, mostly tree-less, herbaceous dominated site, on what appeared to be deep sandy soils. 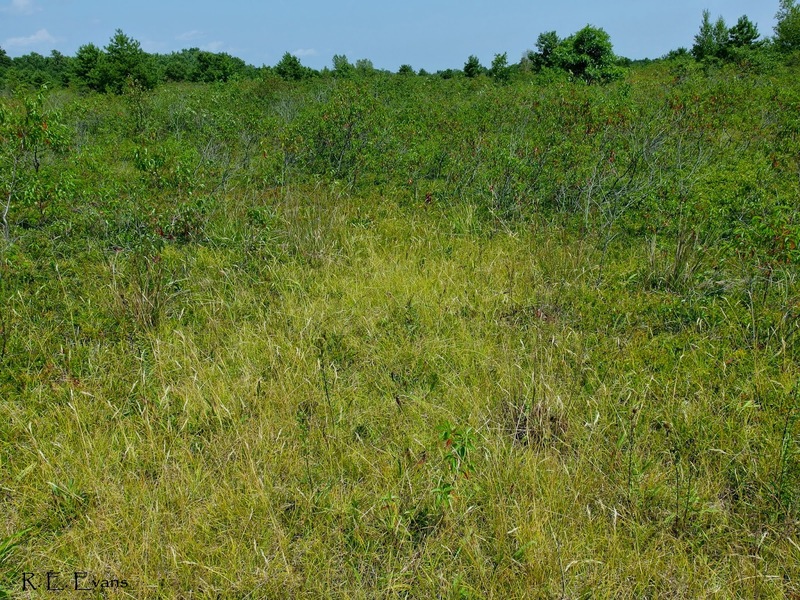 Experts at the Maine Natural Areas Program would likely call it a "Sandplain Grassland"(4). 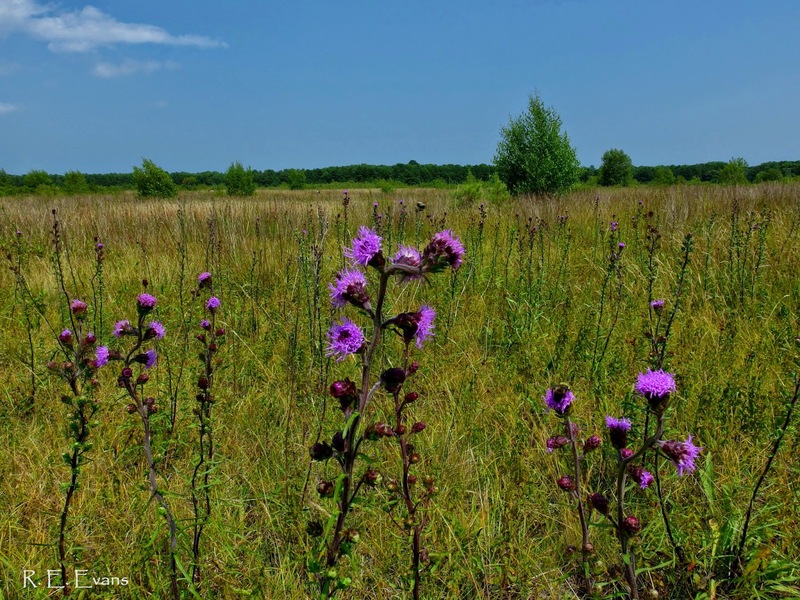 I was lucky to be there just as the Northern Blazing Star (Liatris scariosa) was coming into bloom. This plant is considered "Threatened" in Maine. Flowering stems were beginning to poke up throughout the grassland, which seemed to be dominated by Poverty Oat Grass (Danthonia spicata). The site was quite large and I was excited to explore, but the fact that the interior roads were closed for the season, coupled with the impatience of my travel partner to see the ocean (evidenced by some realistic looking tears) the visit was cut a bit short. After a brief interlude at the coast, I was able (allowed?) to visit another jewel of southern Maine, the Wells Barren. My directions initially led me astray and caused me to nearly miss the site completely. Luckily that didn't happen because this place is great! After an inauspicious start through "regular ole Maine Woods", the place opened up into an impressive "barren". 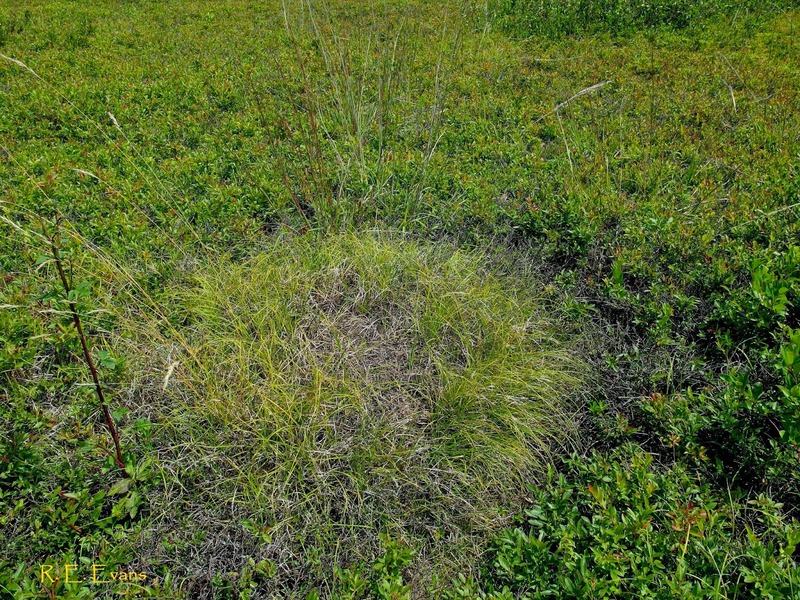 Unlike the "Prairie" or "sandplain grassland" at the previous site, the vegetation here was absolutely dominated by low-bush blueberry (Vaccinium angustifolium), often with an emergent layer of Pin Cherry (Prunus pensylvanica). 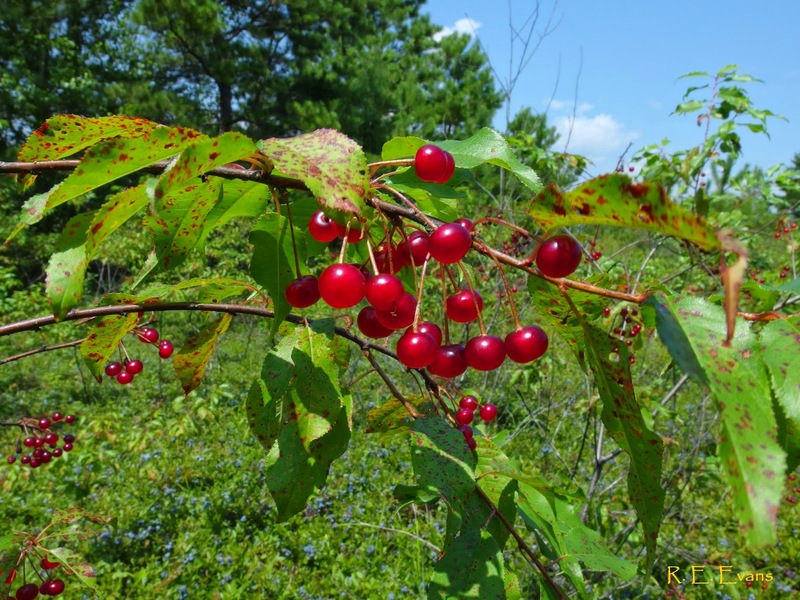 Perhaps a better name for the Prunus is "fire cherry" in reference to its uncanny ability to recolonize burned areas. This appears to be the case at Wells Barren which is under fire management by The Nature Conservancy. There were a number of large Pitch Pine (Pinus rigida) around the perimeter but almost none in the interior where fire was presumably too frequent, or past land-uses had removed them. Small openings stood out at a distance due to the tawny coloration of the Poverty Oat Grass, and the lack of Vacciniums or other shrubs. In one or two of these I noticed a few stems of Northern Blazing Star. These small areas looked like mini-sandplain grasslands. Not sure why these persisted or existed as islands in a sea of shrubs. I could envision more frequent fire transitioning the whole site into a more grassy and less shrubby condition (perhaps explaining the first site? ), but why these small islands in a matrix of blueberry with the same fire history? One idea emerged after spotting a single grass clump (see image, lower right). This Poverty Oat Grass clump seemed to be surrounded by a small buffer separating it from the surrounding shrubs. It made me think of "allelopathy, a phenomenon where one species produces biochemicals that inhibits growth of others. A later bit of research turned up some evidence that, at least one Danthonia sp. is believed to exhibit alleloapthy (5). 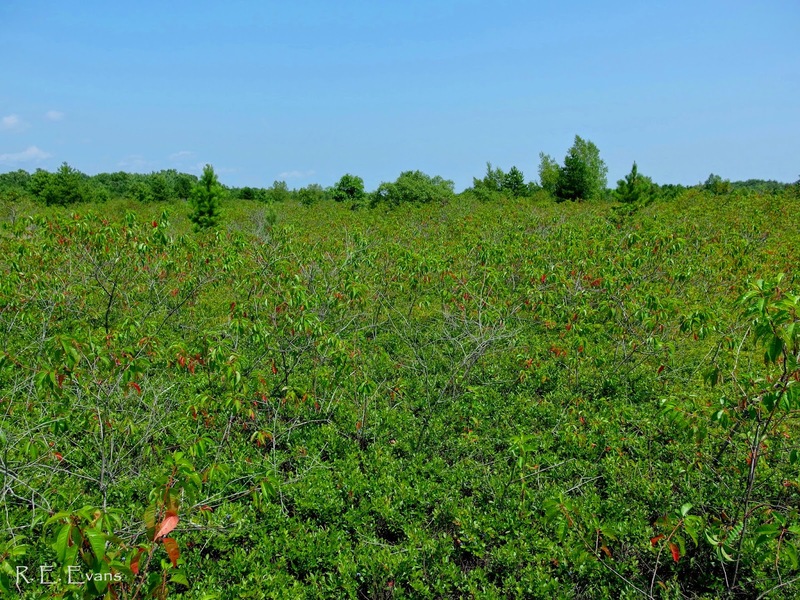 Other than the extreme openness, or at least lack of well developed tree cover, the most notable aspect of the site was the density of Low bush blueberry (Vaccinium angustifolium). The image below gives some hint at this. 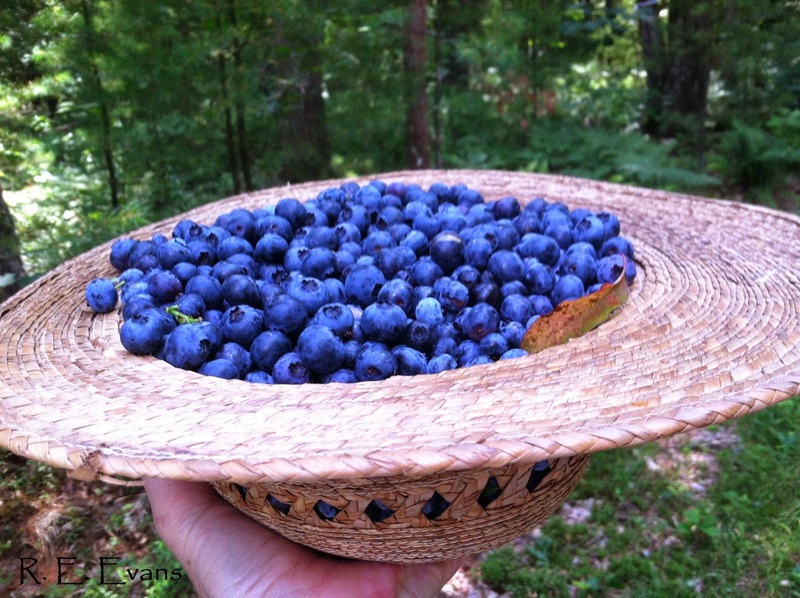 This site is a great reminder that fire has been used for many generations, and probably by native Americans, to enhance blueberry production. 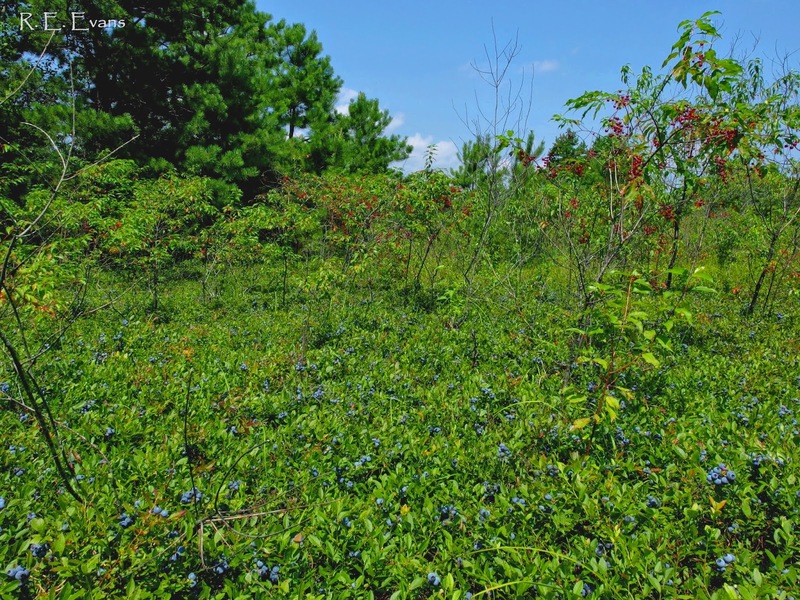 Vaccinium angustifolium spreads primarily vegetatively, and this spread is encouraged by fire. It is well known in many regions that more vigourous blueberry growth often appears after fires. It has been documented that heated or burned rhizomes produce more shoots (6). At a site like this, it doesn't take long to pick your fill (See below) which may be reason enough to support more prescribed burning! (1) Frost, C. Presettlement Fire Frequency Regimes of the UNited States: A First Approximation..
(2) Fahey & Reiners. 1981. Fire in the Forests of Maine and New Hampshire. Bulletin of the Torrey Botanical Club 108. (5) Slater, P.D., T.M. Cregan and P.D. Cregan. Allelopathic Effects of Danthona Richardsonii and Phalaris aquatica on Trifolium subterraneum. Australian Weeds Conference Proceedings. (6) (Flinn, Marguerite A.; Pringle, Joan K. 1983. Heat tolerance of rhizomes of several understory species. Canadian Journal of Botany. 61: 452-457).